St Stephen’s was built by King Edward I to be a showcase of English royal splendour. Photo courtesy University of York. 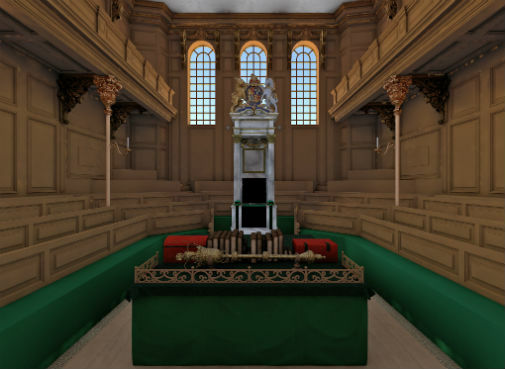 Funded by the Arts and Humanities Research Council, art historians at the University of York have now brought St Stephen’s Chapel and the Commons chamber back to life by pioneering a technique combining traditional archival research with digital reconstruction. The seating of the Commons was arranged so that politicians would be facing each other at close quarters, much like today. Photo courtesy University of York. Dr John Cooper, from the University’s Department of History, said: “St Stephen’s was built by King Edward I to be a showcase of English royal splendour. When the Chapel was dissolved during the Reformation, it became a meeting place for politicians to debate the issues of the day. 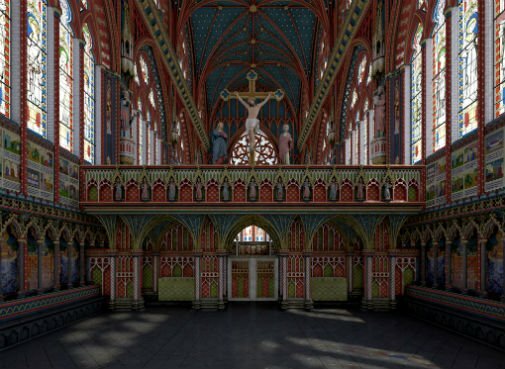 Chris Bryant MP said: “The shape and architecture of St Stephen’s Chapel frame so many aspects of how we do our business in the Commons today.